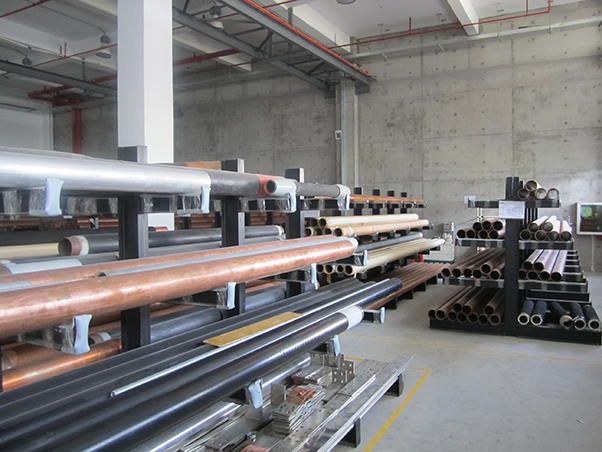 Solid insulation tubing busbar is applied to voltage class 6/10(12)kV, 8.7/15(17.5)kV, 12/20(24)kV, 18/30(36)kV, 26/35(40.5)kV for large current busbar connection in transformer substation, with the function of large current transportation and electric insulating protection. 1. Triple Co-Extrusion (TCE) technology, all three layers (inner screen layer-Insulating layer-outer screen layer) are extruded simultaneously. 2. Hollow conductor, big surface, current on conductor distribute evenly. 3. Non-clearance between the rubbers and the copper tube, maximizing material physical and electrical property. 4. Self-developed ends and middle connection structure, tube support and multi-point reinforcement welding technology outside the tube.